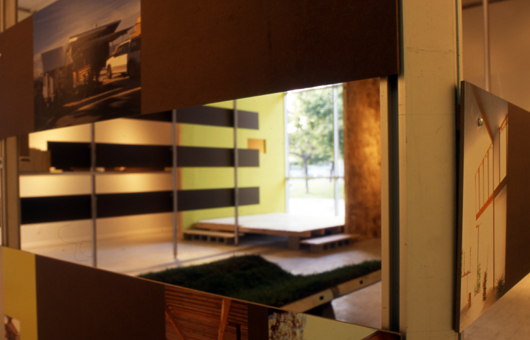 The temporary nature of a gallery installation brought into focus the role that time plays in architecture. Our design for the show prioritized the real time experience that we created in the space, before the chronological presentation of our work. 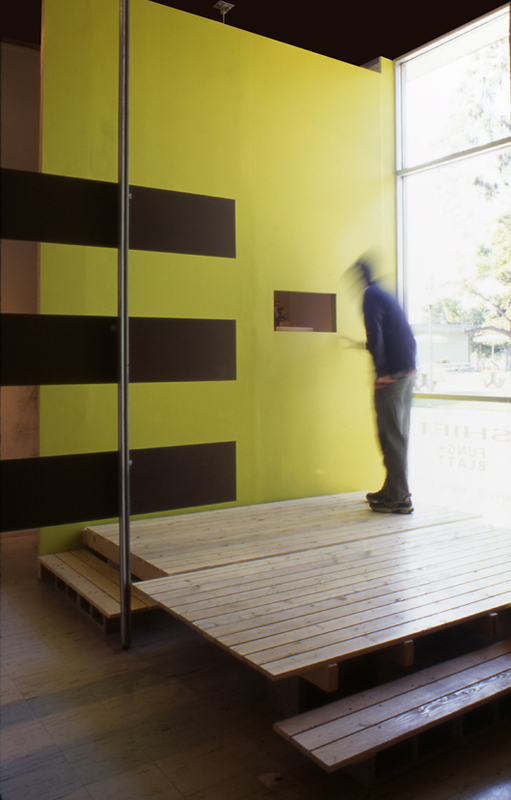 Responding to the formal conditions of the 30×30 space, we resurrected and adapted a uni-strut display system long forgotten by the Gallery. We created of a kit of parts that introduced a path, moments and transitions that featured our work along the way; culminating in a place of rest with an overhead video projection of the change of light and movement through our own home. The installation presented an armature of relationships that explored the choreographic and perceptual themes of Circularity, Shifting Points of Reference, and Reversal of Interior and Exterior.